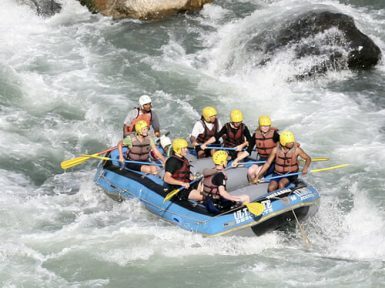 Adventure activities adds fun to your normal and routinely life. Nepal being the second richest country in the world for water resource, water can be a source of fun! 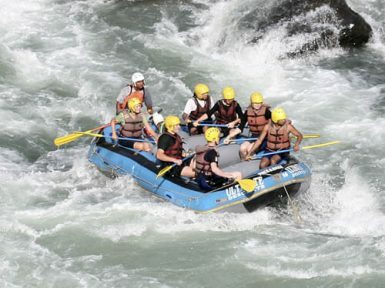 Owning to its dramatic terrain and fast flowing rivers, Nepal has a potential for white water rafting. 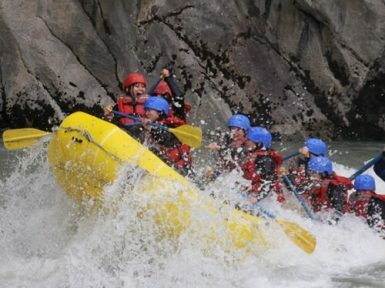 Fight with the roughness of white water and experience the thrill that it possesses! 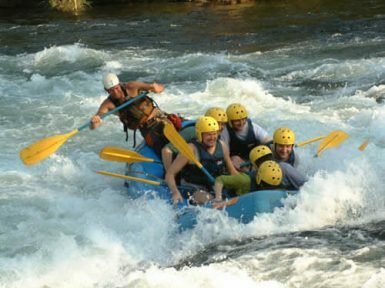 White water rafting is a stimulating and adventurous outdoor sport that lets you experience the rapid currents of wild white water. It is a group recreation activity and success is a joint effort of all the participants. Dancing with the rhythm of water can be quite exciting but precaution is needed. This activity can be equally dangerous and fatal. Any mistake or lack of precautions may lead to accidents that can be life taking. But what is fun if it’s not risky? Haven’t you heard, more the risk, more is the return! 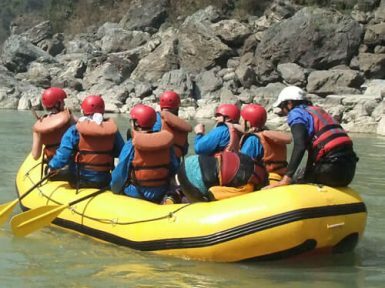 White water rafting is not just an adventure activity but an opportunity to relish the lush and dramatic landscape of Nepal. The hills that rises one after the other, greenery and the countryside along the river that originates from the great Himalayas can be fascinating. So, just forget about everything and join Nepal Hiking Team to make your away along the river through rocky ravines and lush valleys to experience the white water rapids.